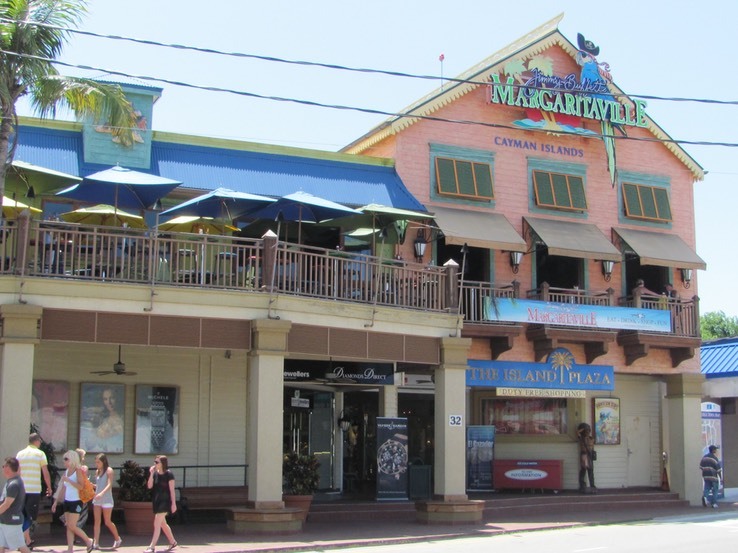 Grand Cayman is a port we have been to before, so we did not feel the need to do a formal shore excursion. Instead, we decided to go to Margaritaville to have a margarita. Excellent choice! We ended up having a wonderful time. Our server, Juan Manuel, contributed significantly to our good time. He is actually from Isla Roatan, Honduras, where we were yesterday. As you can see from the photos (check the album), he was a lot of fun. We ordered Perfect Margaritas in souvenir glasses, which turned out to be a lot of alcohol. One of those margaritas is probably enough to last us for a lifetime. Juan Manuel recommended that we try one of the local dishes. It turned out to be very good, as was the local beer with which we finished the meal. We just couldn’t leave without trying local beer. These days it’s a matter of principle! We ate well, drank well, had good conversation and laughed a lot. What more could we ask for? Our table was on a little balcony, just big enough for two, and we had the pleasure of eating outdoors combined with just the right amount of air conditioning. The tender ride over to the island was very short. As we walked along the dock we noticed a lot of brightly colored fish that were apparently looking for a handout. On the other side of the dock we saw a squid swimming among the seaweed, the first time we’ve ever seen one in the wild. After lunch we visited the Margaritaville gift shop, where we acquired t-shirts; then we walked around for a little while before taking the tender back to the ship. 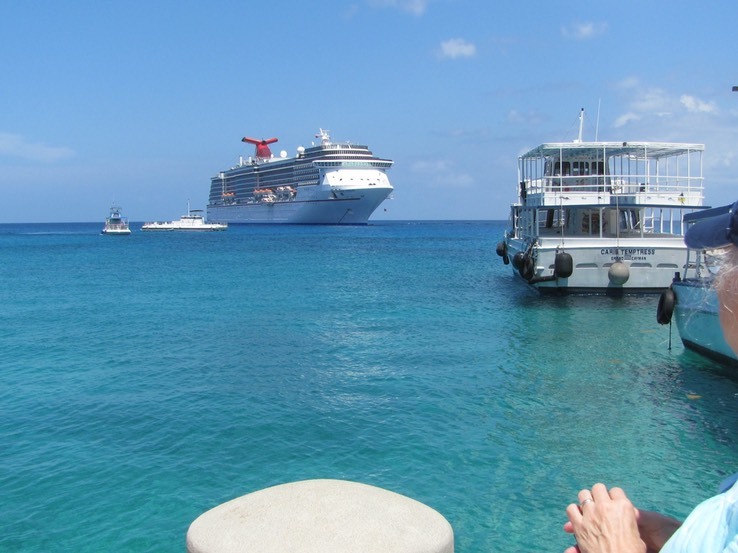 Grand Cayman gave us a beautiful day with plenty of sunshine and great people.